Last June Thomas Amberg participated to Water Hackathon – Open Source Technologies for Rivers, Oceans and Lakes taking place in Lausanne. 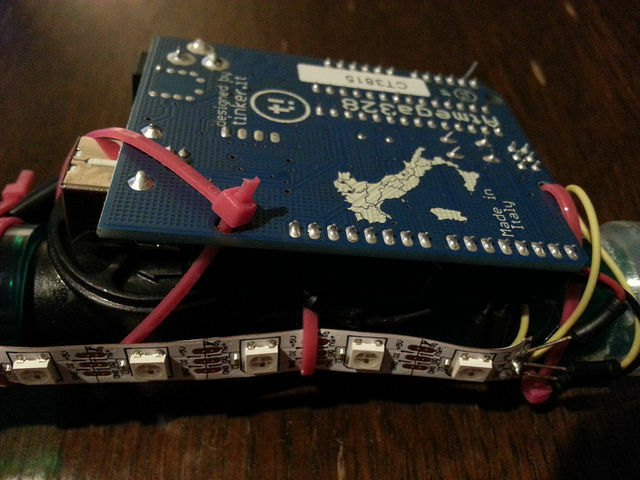 He came up with a DIY solution made with Arduino Uno and a flow sensor to help monitor how much water a tub consumes. The Augmented Water device helps you save water by turning red after one Liter and helping you not to waste it unnecessarily. The ingredients you need to reach the results are the following: an Arduino Uno, Adafruit Neopixels, Flow sensor, LiPo battery, LiPo charger, jumper wires, tube fitting the sensor, plastic test tube and some zip ties. You can easily make one in 6 steps with his tutorial on Instructables. For most of us, the only way we can see the strength of a WiFi network is by the familiar signal icon on any given device. Newcastle University School of Architecture doctorate student Luis Hernan, however, has a different method: spirit photography. He's using the new age-y method of capturing someone's aura via electric coronal discharges -- a Kirlian Device -- with a few geeky augmentations (an Arduino Uno board and WiFi Shield, for example) to illustrate how strong a wireless broadcast is with colors. 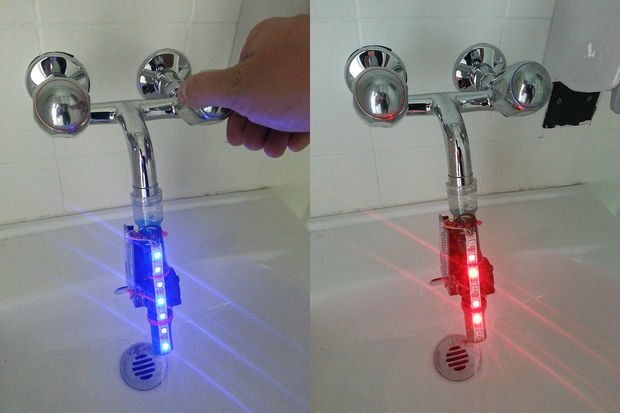 As Wired notes, these components take account of the nearby signal and convert it into color information that's then beamed onto an LED strip; red being the strongest and blue being weaker sections of the network. To create the pictures like what you see above and at the source, Hernan swung the home-made device around after setting up long-exposure shots with a camera. 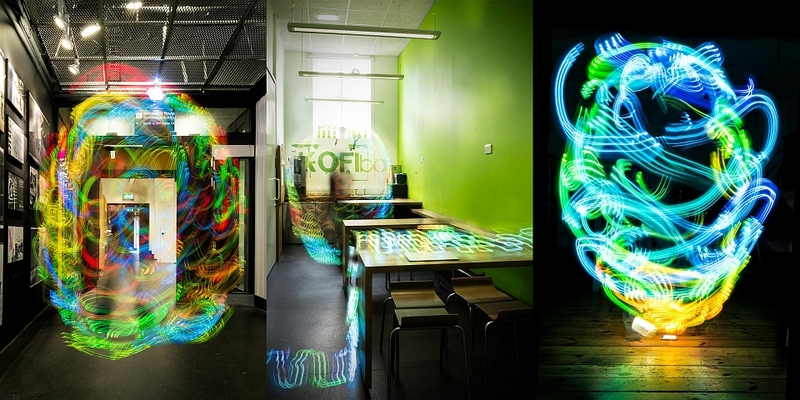 While we can't know for sure, we'd imagine that something with no signal would look a lot like this. It looks like Jack Eisenmann has done it again. A couple of years after the hobbyist hacker built his first 8-bit computer, he's cobbled together yet another one, but this time with a whopping 16 cores. 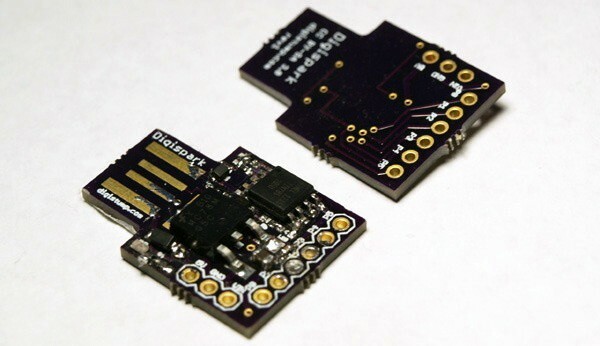 Appropriately dubbed the DUO Mega, the multicore wonder is made with 16 ATMega328p microcontrollers, each connected to an 8-bit data bus and designed to interpret a custom bytecode that runs the software. Compiled inside a nondescript plastic bin, the machine is also comprised of 16MHz crystal oscillators attached to each of the aforementioned cores, three Arduino UNO boards, 32kb of SRAM, 512kb of flash memory, eight breadboards, an Ethernet shield, a VGA out port and a multitude of components that combine to look like that mess of wires seen above. Because of all that processing power, this relatively primitive machine multitasks beautifully and can perform complicated calculations at an impressive clip. 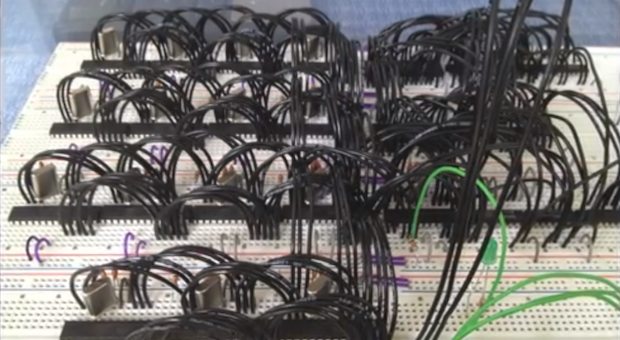 To get a demo of what this marvelous feat of DIY computing can do, have a peek at Eisenmann's video, complete with an 8-bit soundtrack, after the break. 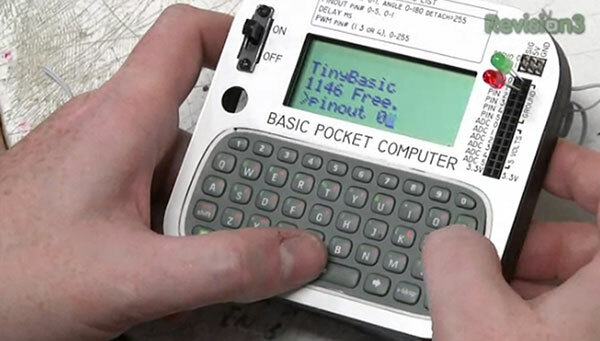 It's great to see Ben Heck focus his efforts of do-gooder projects like that foot-controlled wheelchair, but we'll always have a soft spot for the modfather's more nostalgic undertakings, like this BASIC pocket computer. 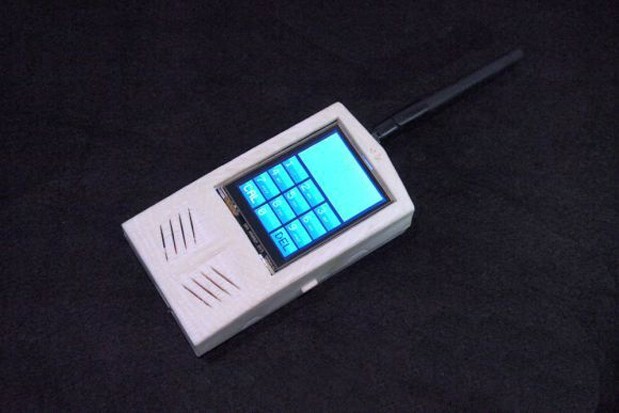 Heck created the device for the latest episode of his web show, and if you're following along at home, you'll need the Chatpad from an Xbox 360 controller, an Arduino Uno and a LCD display -- a Hitachi HD 44780, in this case. The modder-turned-host is quick to point out that the project's purpose isn't solely nostalgic -- you can also use it to control real world objects, which in the Heck's case means a ghost on a pinball playfield. Check out a video of the invention in action after the break. Ben Heck fashions a pocket computer with an Xbox Chatpad and Arduino Uno originally appeared on Engadget on Mon, 10 Sep 2012 22:04:00 EST. Please see our terms for use of feeds. Who knew Lego characters had to be somewhere in a hurry? Adafruit did, as it just whipped up a minifig-sized train schedule. The invention mates one of Adafruit's own 1-inch OLED boards with an Arduino Uno controlling the schedule behind the scenes. It looks to be a straightforward project for the DIY types, although the display is currently all show: the schedule doesn't (yet) pair up with the train tracks to automatically let your minifigs know if their trip to the pirate spaceship castle has been delayed by ghosts. You can check the source link for the full instructions. Duplo builders, alas, are kept out of the loop. 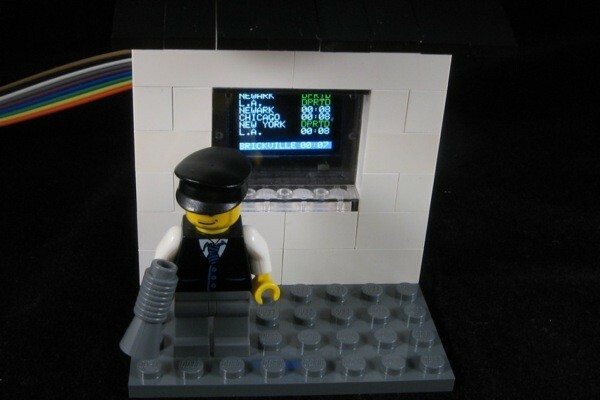 OLED Lego train station emerges from Adafruit and Arduino gear, minifigs to get home on time originally appeared on Engadget on Tue, 26 Jun 2012 00:07:00 EST. Please see our terms for use of feeds. 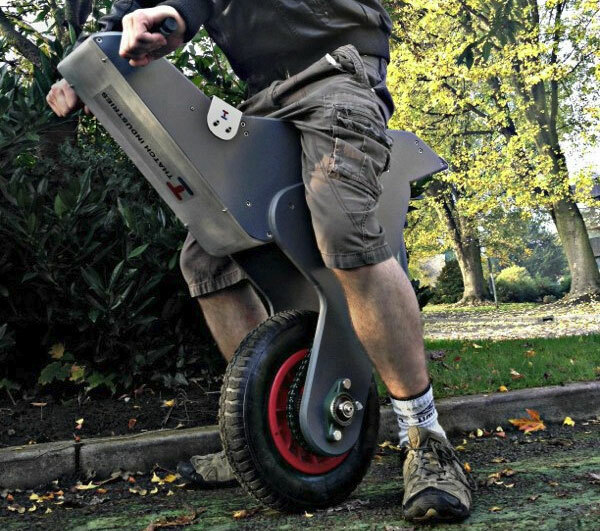 Ben Heck is always thinking up gadgets that make life easier, from completely hands-free luggage to a sensor system for improved cycling safety. His latest mod is meant for those of us who have burnt Ramen a few too many times. His so-called Ben-Stur Remote Control Android app works with a pot-stirring device, freeing users to stray from the kitchen while their meal is cooking. The app works via Bluetooth, and the pot-stirrer consists of an actuator arm, a chip clip, a timing belt and, of course, a wooden spoon. 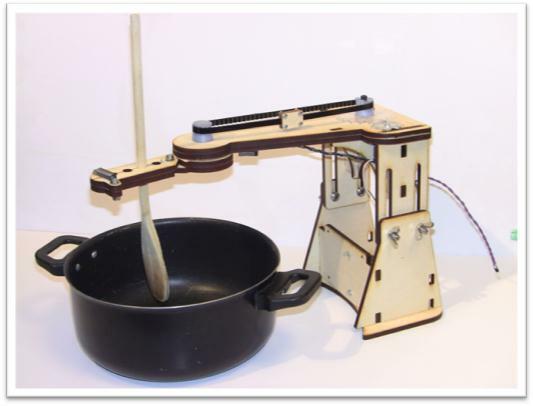 Heck used a Google ADK and an Arduino Uno for the control mechanism that communicates between the app and the stirrer. In the tablet app, users can check their food's temperature and control the speed of the the spoon's stirring. If that whets your appetite, click the source link for more info -- and check out our Maker Faire interview with Mr. Heckendorn himself. Ben Heck's Android-controlled pot-stirrer does (most of) the cooking for you originally appeared on Engadget on Tue, 22 May 2012 05:54:00 EST. Please see our terms for use of feeds.